After graduating from Sheridan College in 1994 and gaining accreditation from the Society of Registered Graphic Designers of Canada, Joel spent nine years creating and branding for local and international companies, products, sports teams, charities and charitable events. The positive experiences of working with many public servants and police officers led Joel to apply to serve as a sworn officer with the Peel Regional Police. 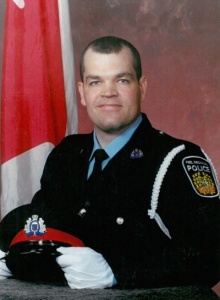 In 2003, he was accepted as a Recruit Constable and commenced this phase of his career. During his tenure in uniform patrol, Joel was qualified as a Field Training Officer and as an Acting Sergeant. Over the years, he has worked many areas within the service including General Patrol, Neighbourhood Policing Unit, School Liaison Officer, Bicycle Patrol, Criminal Investigation Bureau, Divisional Auto Unit and for the last three years he has been posted within the Forensic Identification Services Bureau. 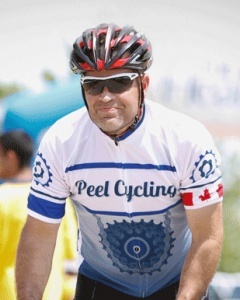 Joel is one of the founding members and Chair of the Peel Cycling Club. 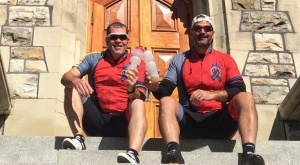 A non-profit group from within the Peel Regional Police community, established to promote cycling and healthy lifestyles among its members and to provide them with an outlet for community service. He rode his first Memorial Ride to Remember in 2009. 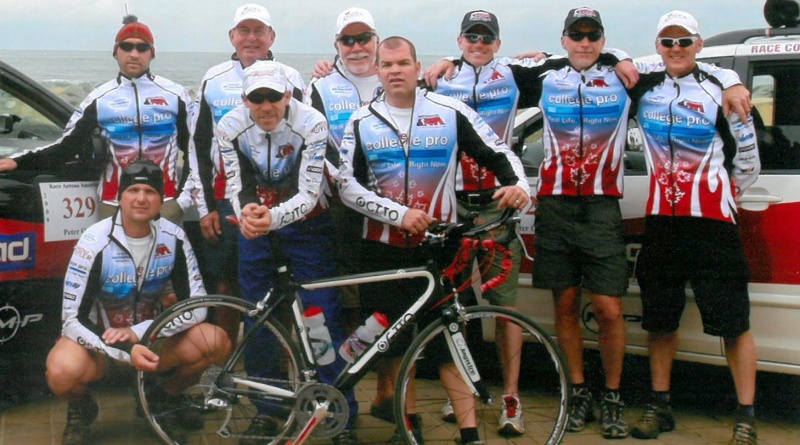 In 2010, Joel co-created the multi-service organizational committee for the Memorial Ride to Remember and was instrumental in transitioning the Ride’s start point to the Ontario Police College in Aylmer. Joel used his creativity to brand the event with logo creation, apparel, brochures, plaques and a commemorative coin. Joel believes when troubled times arise, we come together as friends and families do; to provide comfort, support, and protection for one another. In 1989, at 18 years of age (just for fun) Joel and two of his friends, cycled and camped more than 2,000 kilometres of the Pacific Coast Cycling Route (Highways 1 and 101) from Vancouver, British Columbia to San Francisco, California. Joel was also the 2007 Assistant Crew Chief and the 2009 Crew Chief for Solo Canadian Ultra-cyclist Peter Oyler, in Support of Kids Help Phone, at the Race Across America (RAAM). RAAM has been challenging ultra-cyclists from around the globe to push their physical and mental limits to the farthest reaches. Starting in Oceanside, California, RAAM spans 4,828 kilometres, climbs 175,000 feet, crosses 12 states and finishes in Annapolis, Maryland.